For trading derivatives transactions, we provide ISDA Master Agreements, Credit Support Annexes, Confirmation and other necessary documents. We provide legal advice considering the relevant legal issues such as the effectiveness of close-out netting and the validity of collateral arrangement. 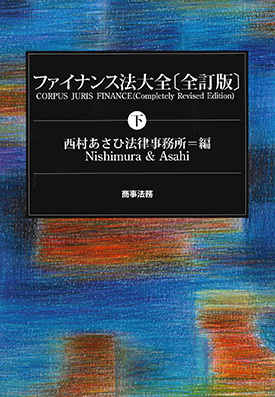 Financial institutions are subject to various business conduct rules in relation to derivatives transactions in accordance with the Financial Instruments and Exchange Act and other laws and regulations in Japan. In recent years, such rules have been substantially strengthened, and N&A’s derivatives team provides advice on such regulations. When a dispute related to a derivatives transaction arises, the parties are faced with deciding whether to opt for litigation, financial alternative dispute resolution (Financial ADR), or bi-lateral negotiation. N&A’s derivatives team is able to advise on the most effective solution for clients in such cases. From September 2016, the margin regulations on uncleared OTC derivatives will come into effect with certain phase-in periods. Financial institutions that are subject to the margin regulations are required to conclude Credit Support Annexes for Variation Margin, Credit Support Annex for Initial Margin, and a trust or custody agreement for the segregation of Initial Margin. For certain cross-border transactions, margin regulations in foreign jurisdiction may apply, in addition to margin regulations in Japan. N&A’s derivatives team provides comprehensive legal services to clients including regulatory advice and documentation in relation to the margin regulations. After the collapse of Lehman Brothers, capital regulations, mandatory clearing, electronic trading platform (ETP) and trade depository regulations were newly-introduced or strengthened. N&A’s derivatives team provides legal advice in relation to such new regulations and license applications for service providers.